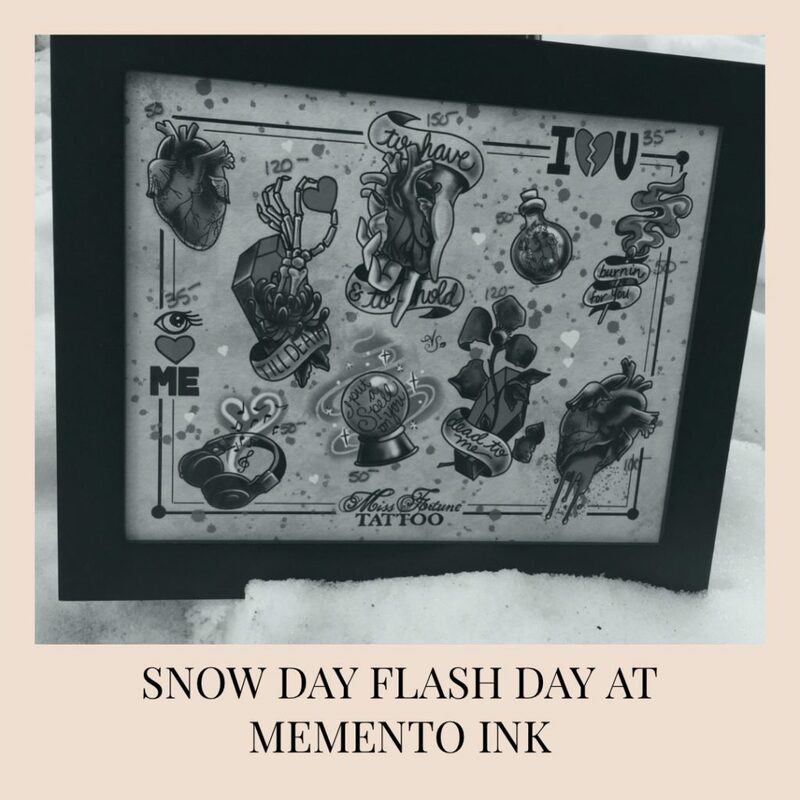 We’re here and extending our snow day special! 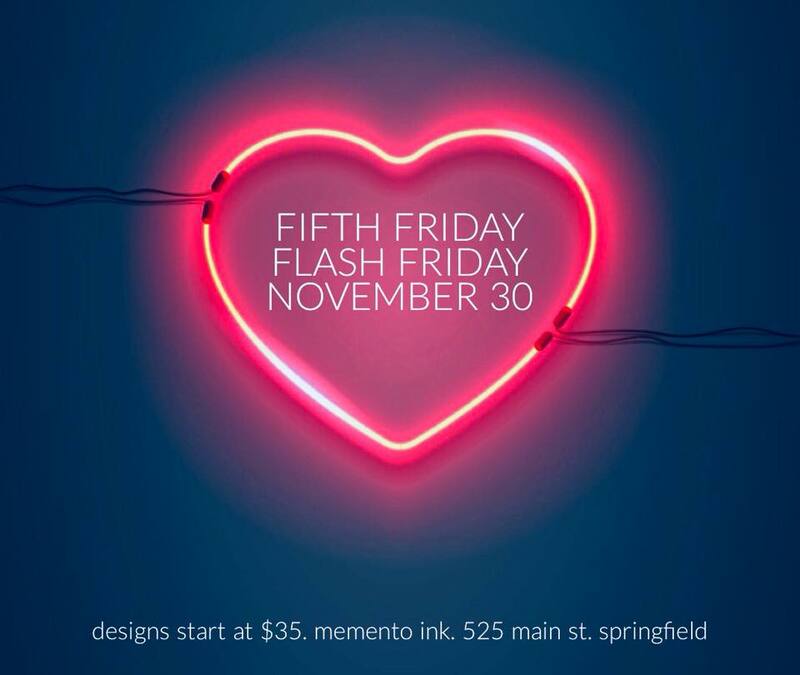 If you can safely make it in, come down and check it out! 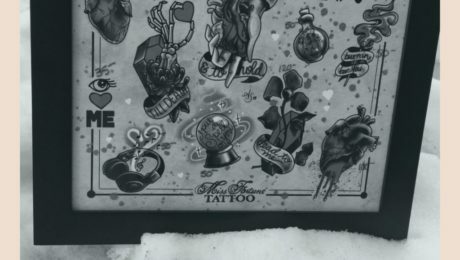 Gift certificates available. 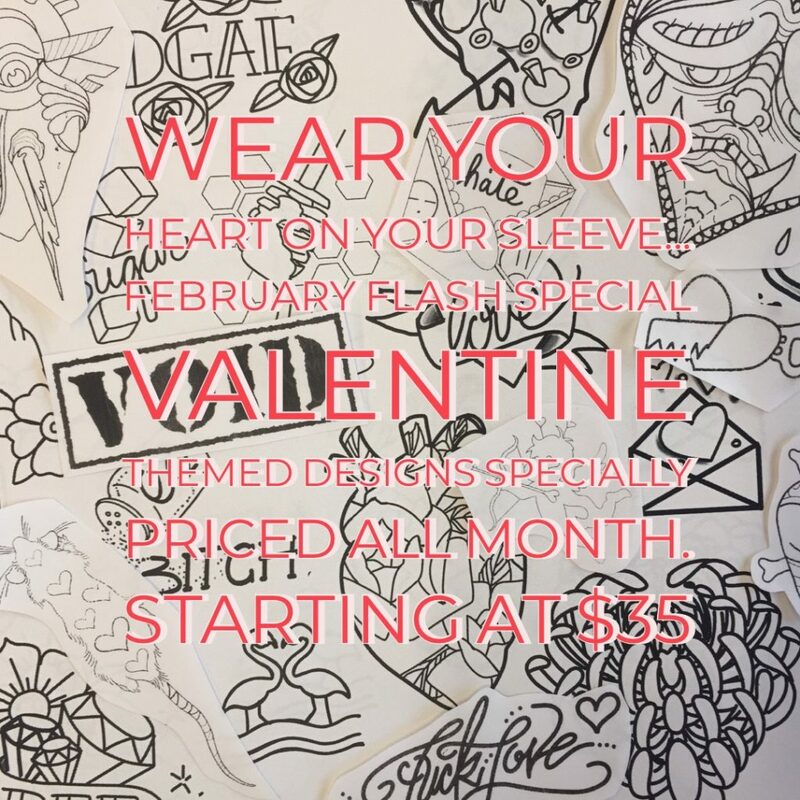 Throughout the month of February, we will be offering specially priced, loosely Valentine themed flash, starting at $35. 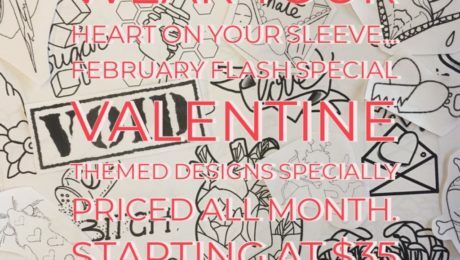 Special prices are available only during the month of February during regular business hours. 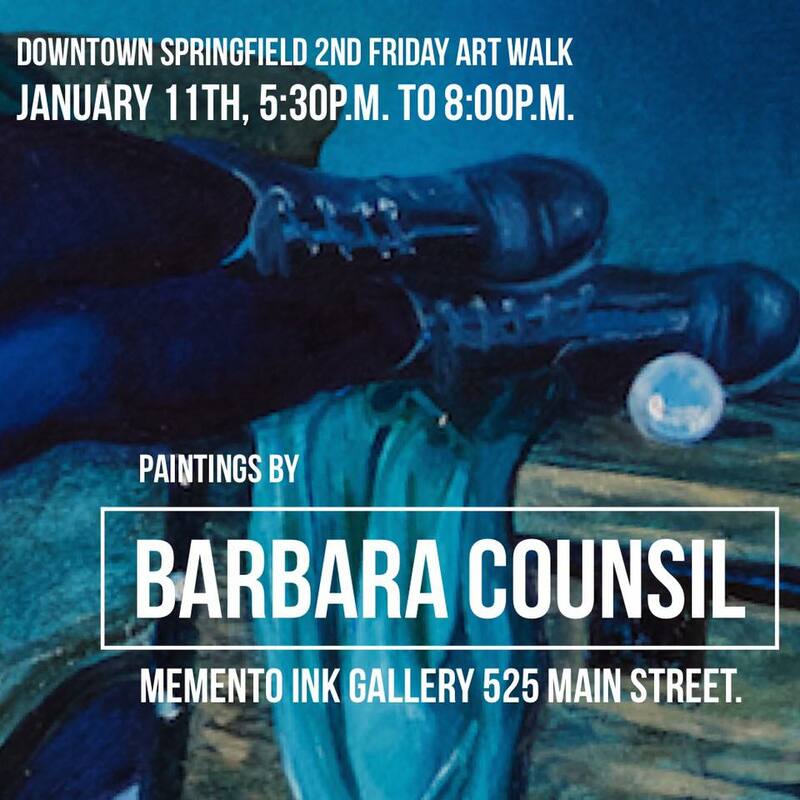 Don’t miss your chance to see the work of Barbara Counsil at the Memento Ink Gallery this Friday, January 11. 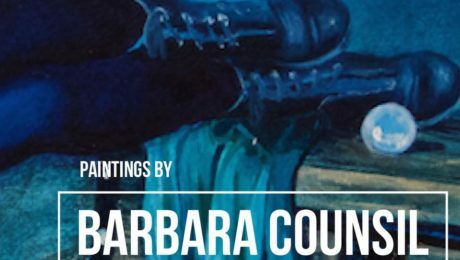 Meet Barbara, enjoy refreshments, and take an opportunity to ask her questions about her work. 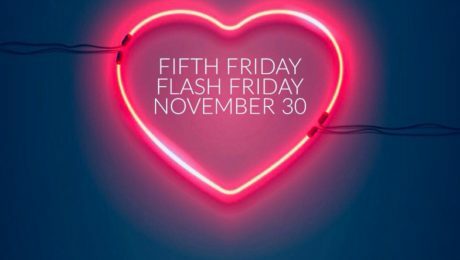 Join us November 30th for the next fifth Friday flash sale!